As part of the Business Strategy and Marketing team at Autodesk, Emily is the Architecture Technical Evangelist for Revit and related AEC innovations. As a Technical Marketing Manager, also in business strategy and marketing, she owns technical storytelling around AEC technology for architecture, and communicates those stories through compelling presentations, marketing and sales content. She conceptualizes new processes and strategies for integrating recently released or updated applications into existing workflows for AEC companies with a global reach and the highest-level requirements. As one of the most passionate BIM experts regarding Generative Design at Autodesk, Emily is driven to ensure innovative technology adoption and usher the AEC industry into the next generation of design technology. These two positions are part of a promotion from a previous position at Autodesk as the as part of the Worldwide Field Operations Team at Autodesk, where Emily ensured customer success as a designated support specialist for several enterprise priority customers and provided mission-critical proactive and reactive technical support for all EP accounts, all while attending and speaking at FOMT industry events and engaging in Autodesk Foundation Employee Impact programs to engage our local community in making the world a better place. Emily was previously employed by CBT Architects in downtown Boston as an Associate | Design Technologist. She provided executive leadership and mature judgment skills in team organization, introduced new employees to firm values, led IT orientation sessions and participated in the associate board to influence the direction of cbt culture. Emily conceptualized new processes and strategies for integrating applications into existing workflows in architectural departments such as workplace, hospitality, multifamily development and academic. She also provided marketing, branding and graphic support to the CIO for all IT initiatives and developed submissions for high-level speaking engagements such as the Innovation presentation for MicroCAD and Autodesk's The Future of Making Things: An Executive Briefing and Autodesk University 2016. 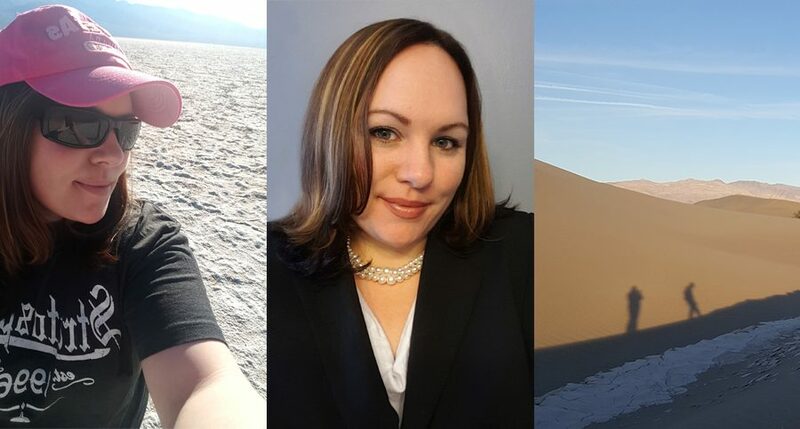 She was recently a speaker on the SGH panel discussing innovation in technology and she was also a speaker at Autodesk University in Las Vegas on the emerging technology, FormIt. In the IT department, Emily led team members in the successful coordination of design and technology through project support, providing advanced research and implementation strategies for BIM, developing standards, advancing the Revit template and promoting team initiatives through digital graphic development. Emily also led team members in assisting project teams with base models for 400' - 500' towers, entertainment facilities, and large-scale multi-phase development projects. She provided project reviews for best practices to give model managers direction for data management and provided emergency support with file issues. Emily has instructed sessions on topics such parameter analysis, phasing, shared coordinates, and project development. She spent a significant amount of time managing the cbt Revit library and directing staff members in content review and development for over 2,000 BIM families. Emily has completed the IDP and is currently studying for the AREs to acquire her architecture license. Emily was formerly employed full-time by MulvannyG2 Architecture in McLean, VA as an architectural designer, project managing the submission to the Store for Art and Architecture’s Design Competition ‘IdeaCity StreetFest Reimagining the Urban Tent in NYC’. She has managed production for submissions to the Battery Park Conservancy Draw Up a Chair Competition and also the award-winning HP MIMIC Ultimate Smart Office of the Future Competition through Talenthouse for clients HP and Microsoft, both in collaboration with Zac&Co. She worked on design models in Revit and construction documents in AutoCAD at the architectural scale for Costco and at the urban planning scale for Vistacor. She was heavily involved in anything related to Revit, Photoshop, Illustrator, InDesign and HTML. Beyond designing she also participated in business development and networking events. Emily is a graduate of the Catholic University of America, class of ‘12, holding a master of architecture degree with a concentration in real estate development. During her time at CUA she developed thesis research, discovering the implications and applications of disorientation in physicality and psycho-social spaces of architecture. She also worked for David Shove-Brown as a graphic designer, developing books for past Summer Foreign Studies programs, seeing editions through to print. In 2010 Emily worked for the academic school year as a community development assistant in residence life on the South side of campus at CUA leding community art projects. Emily also owned and operated an animal care LLC called Brookland Tails and traveled to Seattle and Portland for real estate development studies. Emily is a graduate from the Rhode Island School of Design, class of ‘09. She participated in the five year dual degree program, double majoring in fine arts and interior architecture. She specialized in issues of two-dimensional design, interior planning, adaptive reuse, color, lighting, painting and metalworking. Emily’s past achievements include internships at TK&A assisting with the Fairview Children’s Hospital, Brandeis University, Fordham University, Proton Miami and the Duke University Cancer Treatment Facility Projects. In fall ‘08 she served on the design management board for building a bio-diesel automobile called Coda with Brown engineers and RISD industrial designers. She has worked on interior fit outs for mobile lunar habitats in conjunction with RISD ID students and NASA through Michael Lye. She also served as the project manager of the set design team for Brown Opera Production’s Orphee and Eurydice in March ‘08. In 2009 she was the president of the Brown University Chorus and traveled on tour to Argentina.